*Admission comes with 1 complimentary brew from Balderdash Beer. BYOB after that. LITTLE CROW is an Alternative Indie duo based out of Vancouver, BC, Canada. Pulling inspiration from bands such as Daughter, Elle King and Gin Wigmore, Singer-Songwriter Emily Seal and guitarist Kas Baker create hauntingly beautiful songs encapsulating the twist and turns of everyday life; Reminding you of your first heartbreak, the longing to detach from a stressful reality and the inner battles we all face day to day. Little Crow writes to remind us we are all human. 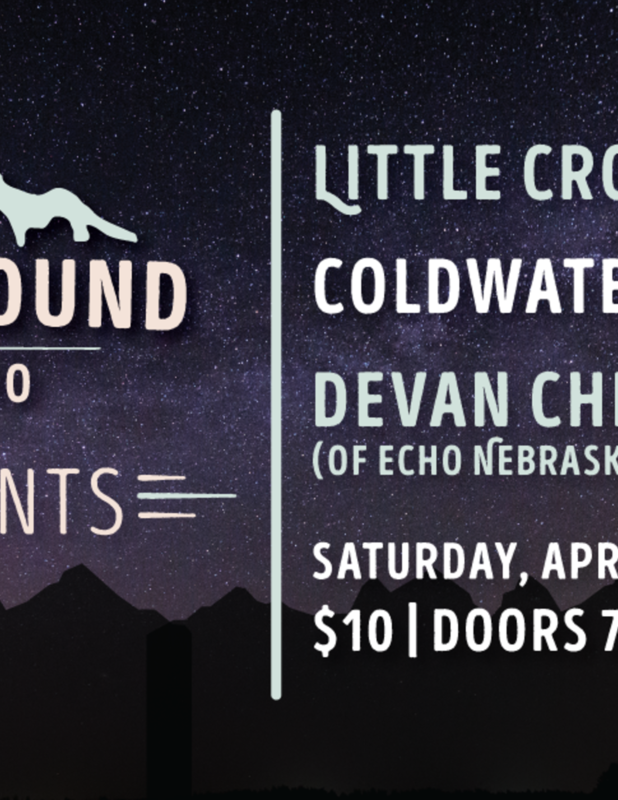 Lyrically rich and hard hitting with their instrumentation, Coldwater Road gives folk music a reason to dance. Waltzing between love songs and foot-stomping murder ballads, Coldwater Road has a story for everyone; their songs born around the campfire of British Columbia’s Nicola Valley and seasoned on the seawalls of Vancouver. Their style reaches across Folk, Americana, Rock, and Country, and live performances are described as The Avett Brothers meets Paul Simon and Dawes. Dean Christodoulou is the vocalist and songwriter of Vancouver folk-rock band, Echo Nebraska. The band is set to release their follow up to 2015’s, SEND THE SHIPS on June 1, 2018. HOLD UP TO THE FIRE expands on the group’s reputation of combining soul-strung acoustic songs with melodic pop sensibilities.